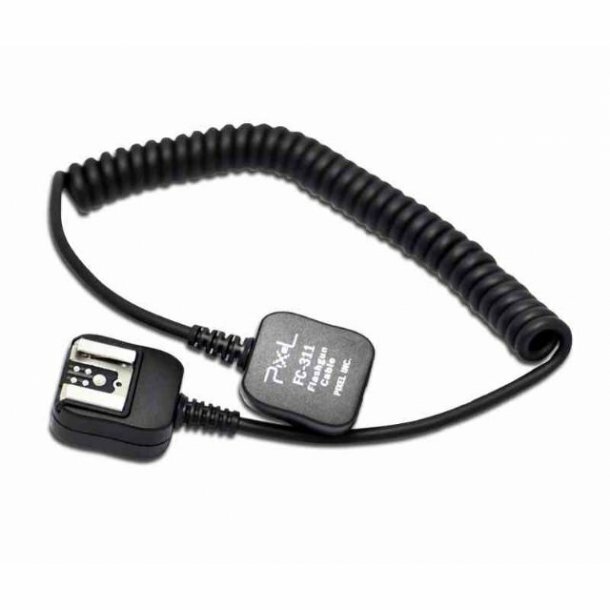 Using the pixel TTL Cable FC-311 / S, you can disconnect your Canon camera flash from your camera. This cable allows you to use your camera flash, detach from your camera, for example when using a softbox for your flash. You attach one end of the cable to the camera and the other end to the flash. You can, for example, use the 1 / 4 "thread at the bottom, on a tripod. This way you can flash in a different angle to the camera. The great advantage of a TTL cable is that it ensures that all your settings from the camera flash will be given from the camera. FC-312 also supports the cable all the features of the Canon EOS series. Also supports the FC-312 cable high-speed synchronization at shutter speeds up to 1/8000s, i-TTL BL and FP functions. The cable is stretched up to 180 cm long, but full use is up to 80 cm.